In this issue: An interstellar private eye, a world without satellites, and a duel to win a princess’ hand. All that, plus an all-new, serialized audio drama from Baen! Meta-Humans on the Brink of War! The meta-humans are back! ECHO may have struck a blow against the Thulians, but the trans-dimensional baddies are far from down for the count, as they continue their attack on Earth and on ECHO headquarters around the globe. Meta-human Red Savior has a plan: risk everything to find the Thulian Headquarters in a dangerous gambit that will either end with the world in flames—or victory! 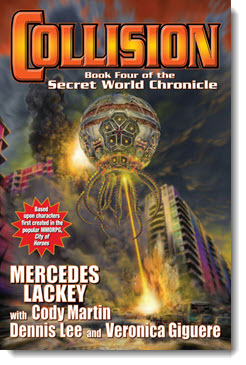 Get Collision: Book Four of the Secret World Chronicle eARC now. The means streets of Undercity, the enormous capital of a vast star empire. Here former Imperial Space Command officer turned Private Investigator Major Bhaajan must sift through the shadows to find answers to an incredible secret that may change the future itself forever. 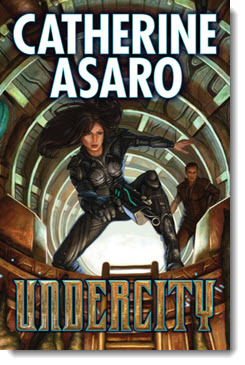 An all-new science fiction detective series set in the Skolian Empire from Nebula award winner Catherine Asaro. When an informant shows up dead on his doorstep, Jason Wood of Wood’s Information Service is plunged into a world far stranger than he ever imagined. Jason has three weapons against the sinister occult forces arrayed against him: his psychic girlfriend, his ancient vampire best friend, and his ability to think beyond the box to see a solution no one else imagined. For Jason Wood knows that against the darkness of the unknown, the greatest weapon is the light of reason. 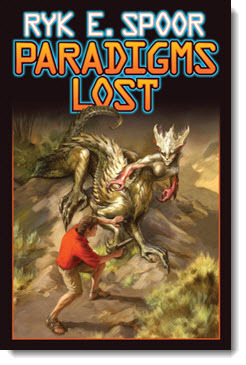 Get Paradigms Lost eARC now. When the mantis aliens attack the human colony known as New America, it’s up to Chief Warrant Officer Amelia Schumann and her crew to get word of the renewed threat to Earth. But a crash landing on a hostile planet complicates things. Now, the crew of the seven-man picket ship must do whatever it takes to get off planet and warn Earth. But Amelia and her crew aren’t the only ones planet-side. The world on which they’ve crash landed is being primed for mantis colonization, and the mantis Queen Mother has given her hive-mind children a clear directive: exterminate all humans. 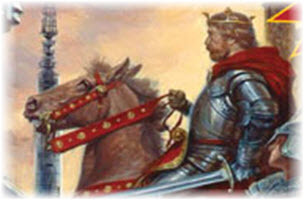 A contest to win the hand of a princess—and the right to rule a kingdom! 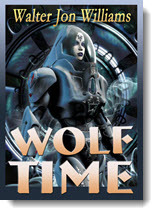 Join us in congratulating the winner of the first ever Baen Fantasy Adventure Award. Selected from hundreds of submissions, “The Golden Knight” by K.D. Julicher blew our judges away. Now you can read her award-winning story here. The launch by the Soviets of Sputnik in October of 1957 changed the world forever. In the fifty-seven years since, we’ve grown accustomed to man-made satellites orbiting our world, providing hi-resolution images, weather tracking, and the latest episodes of our favorite television shows—and much, much more. But maybe we shouldn’t take these artificial moons for granted. 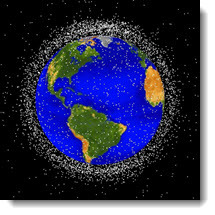 In this month’s free nonfiction article, NASA scientist and author Dr. Les Johnson shows us the many ways out system of satellites could fail. And what it would be like living in a world without them. Read “Living without Satellites” here. 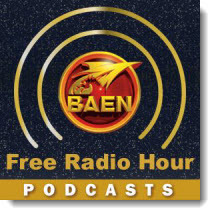 All-New Radio Drama Coming on the Baen Free Radio Hour! 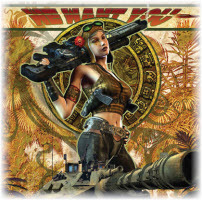 The Baen Free Radio Hour and Baen Books is bringing Eric Flint’s novella “Islands” to life! Featuring all original music, and a film-quality, full effects soundtrack accompanying a cast of fifteen professional voice actors, “Islands” is set to be the audio drama event of the year! Adapted by Baen editor and author Tony Daniel, “Islands” is set in the world of the Belisarius alternate history series created by New York Times best seller Eric Flint and best-selling author David Drake. The first serialized part of “Islands” will debut on the Baen Free Radio Hour podcast on September 19th, and will run for four weeks. Fascinating conversations with your favorite Baen writers about the books you love. Coming up: David Drake and Baen Free Radio Hour host Tony Daniel, discussing their new novel, The Savior. And don’t forget to tune in for “Islands,” an all-new serialized radio drama written by Tony Daniel and based on a novella by Eric Flint. This four-part serialization will debut September 19th and run for four weeks on the podcast. Don’t miss it! ECHO may have struck a blow against the Thulians, but the trans-dimensional baddies are far from down for the count. Meta-human Red Savior has a plan: risk everything to find the Thulian Headquarters in a dangerous gambit that will either end with the world in flames—or victory! When an informant shows up dead on his doorstep, Jason Wood of Wood’s Information Service is plunged into a world far stranger than he ever imagine, in this vastly expanded version of Spoor’s Digital Knight, sure to please fans and newcomers alike. Planet Earth is in peril in two classic novels of great SF from best-selling author James P. Hogan. Includes Cradle of Saturn and The Legend that Was Earth. In a universe full of interstellar intrigue and burgeoning commerce, novice Terran trader Jethri Gobelyn is determined to make a name for himself as trader and adventurer. But he has plenty of enemies who are just as determined to put him in his place! Two journeys into space: one taking humans to space by hook or by crook, the other the classic first-time tale of a generation vessel with passengers who do not realize they are in a spaceship. All-new afterword by Mark Van Name. With human civilization annihilated by a biological zombie plague, a rag-tag fleet of yachts and freighters known as Wolf Squadron must take on another massive challenge: clear the assault carrier USS Iwo Jima of infected and began to take the world back from the infected. Sequel to Under a Graveyard Sky. Like every frontier, the star-ways are overrun by wildcatters. There are reptiles buying bathing suits, outlaws selling animal crackers as weapons in local wars, and dude ranches on the other side of space. 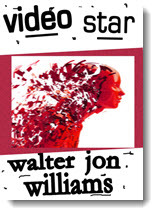 Collects the complete tales of the Viagens, together for the first time. Ric needs a new source of funds—and he’s pretty sure he’s found it. All he needs is to manipulate a street gang into committing the crime for him. But what he hasn’t counted on is a new technology aimed at turning him into the star of his very own, very nasty reality show. Not only is mercenary Reese assigned the impossible task of attacking an asteroid outpost whose defenders know perfectly well she’s coming, but she discovers that her greatest danger may come from her own side . . .
A dozen cutting-edge hard-SF stories by multiple-award-nominee Brad R. Torgersen from the edges of interstellar space to the depths of the artificial soul. A Purple Unicorn Anthology — the best purple unicorn stories ever collected in a single anthology! 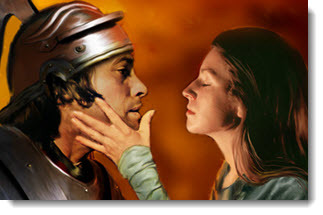 Tales by Todd McCaffrey, Jody Lynn Nye, Peter S. Beagle, and 16 others. To benefit the Superstars Writing Seminar scholarship. 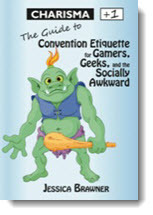 A clever and vital survival and etiquette guide for attending science fiction conventions. From Allen Drury, the master of political thrillers, a novel of the United Nations and the racial friction that could spark a worldwide powder keg. Sequel to Pulitzer Prize winning Advise and Consent. 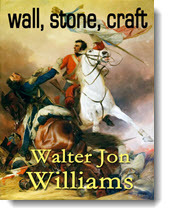 The third book in the Advise and Consent. In a hotly fought Presidential primary, the news media fractures along ideological lines, supporting and distorting the candidates’ records, manipulating the news rather than covering it. Deception, torture, manipulation, and ruthlessness collide in five novellas told from the villains’ perspective. Part of the popular Ferryman and the Flame series.